In my last sessions before taking a few weeks for a summer break, we looked at the Derbyshire Tradition of well dressing. 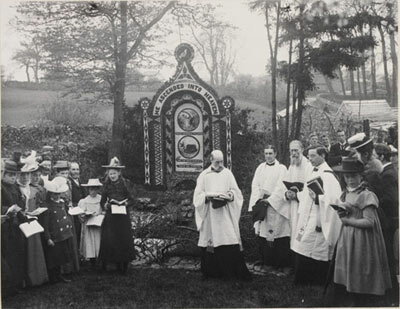 It doesn’t seem like a whole year has passed since the launch of this blog, when we blessed the well dressing at Newholme Hospital. So what is well dressing? It’s a tradition of decorating wells and springs with pictures made of flowers and natural objects – a wooden board filled with clay, and with flowers, seeds and leaves pressed into it. Well dressings are displayed in Derbyshire villages (stretching down to Derby, east into Staffordshire and North into Sheffield). People come from miles around to admire these floral creations, which take weeks to create. The origins of the tradition are lost in the mists of time, but are thought to date back to ancient times, when people thanked the water gods for the springs, streams and rivers so essential for life. Nowadays, well dressings often have biblical themes, or commemorate anniversaries and recent events. Click here to find your nearest well dressing! This website tells you all about well dressings in Buxton, which are happening this weekend. At Cavendish Hospital in Buxton, we wrote a poem about well dressings and their meaning. Teenagers pulling faces at their nanas singing loudly! We also made miniature well dressings at Walton Hospital in Chesterfield, and at Cavendish Hospital. At Newholme hospital, we had the real thing. 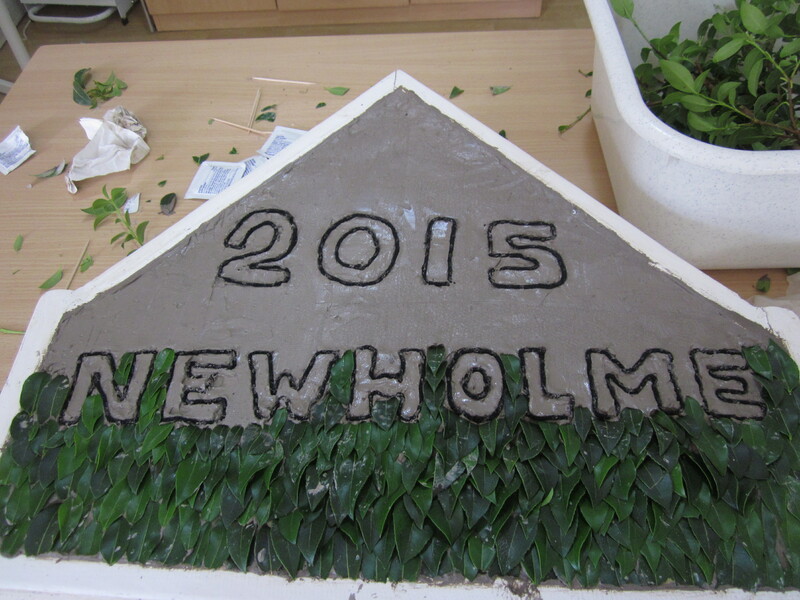 We had a go at “pedalling” part of the well dressing – well, we were using leaves. to make the background for the top section of the well dressing, which was incredibly heavy and needed two people to carry it. One of the patients was also an expert well dresser from Youlgreave, one of the most popular well-dressing villages, so here are some of her top tips and insider insights. With children gathering flowers and leaves. Friendly rivalry between the wells. In garages, barns and sheds of the village. Of half the houses in Youlgreave. Water clear and pure. Dog daisies and elderflowers quickly turn brown. Hung with sacks at the back, sprayed with a mister. Like living tiles on a roof.